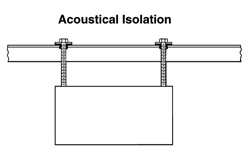 Bold and Rod Isolation Washer - Bushings are for isolation noise and serve as minimum isolation of vibration where mounts and hangers are not required. 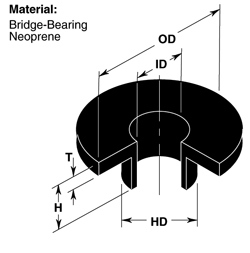 They are made up of high quality bridge-bearing neoprene for maximum performance and life. 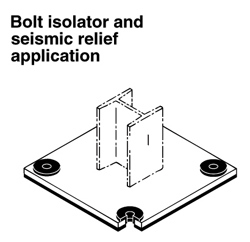 In seismic applications, HG's reduce bolt shearing impact forces which can occur in seismic areas. These shearing forces are responsible for significant equipment movement observed after recent California earthquakes.